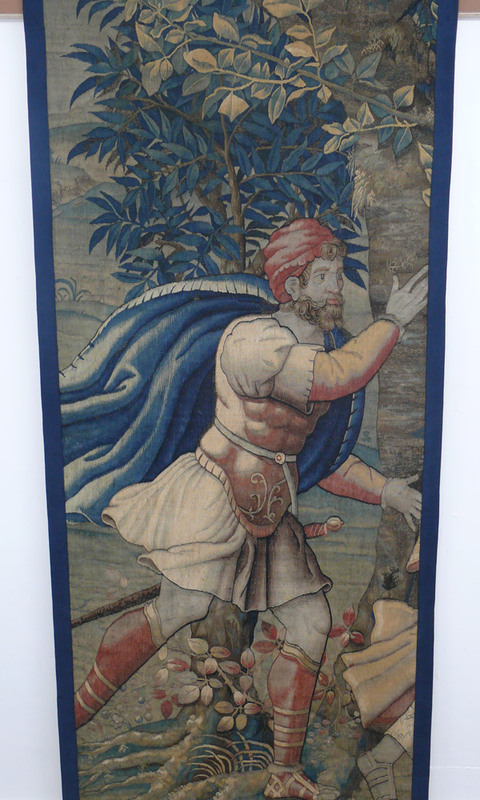 The tapestry was bought by Rudyard Kipling to furnish his family home Bateman’s. 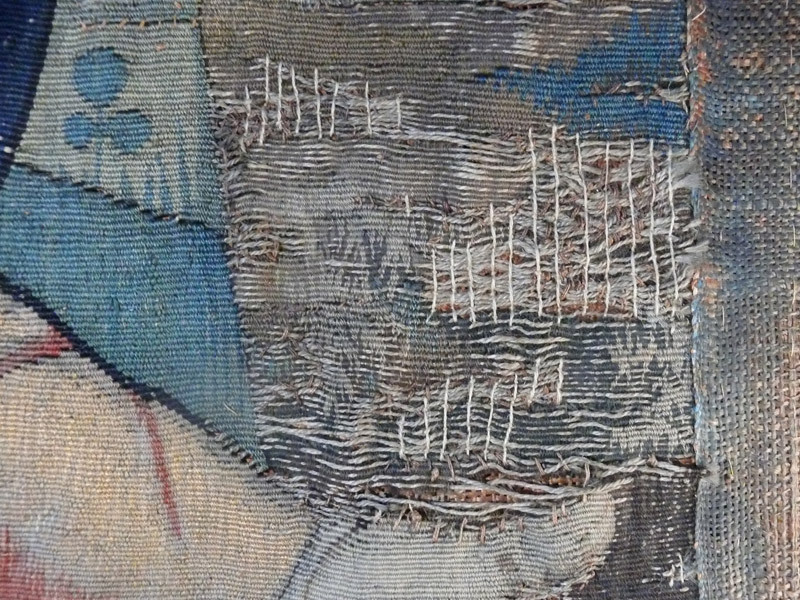 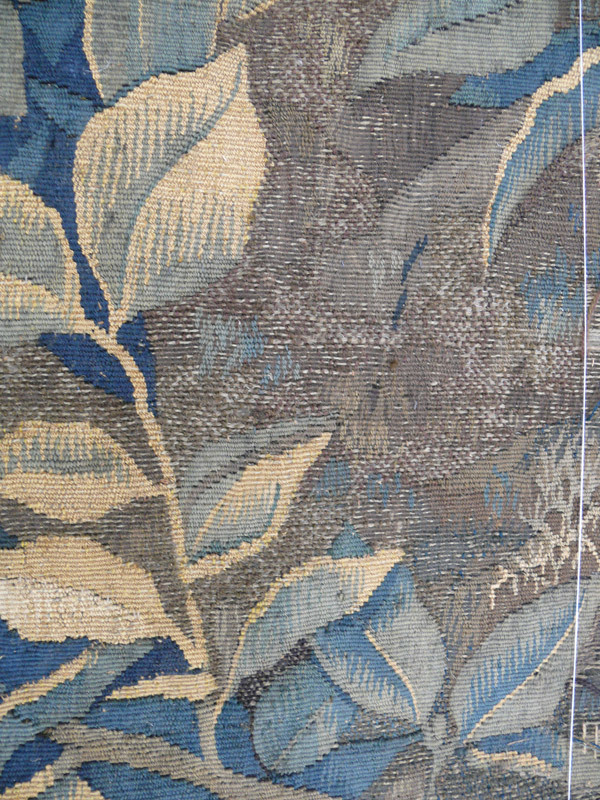 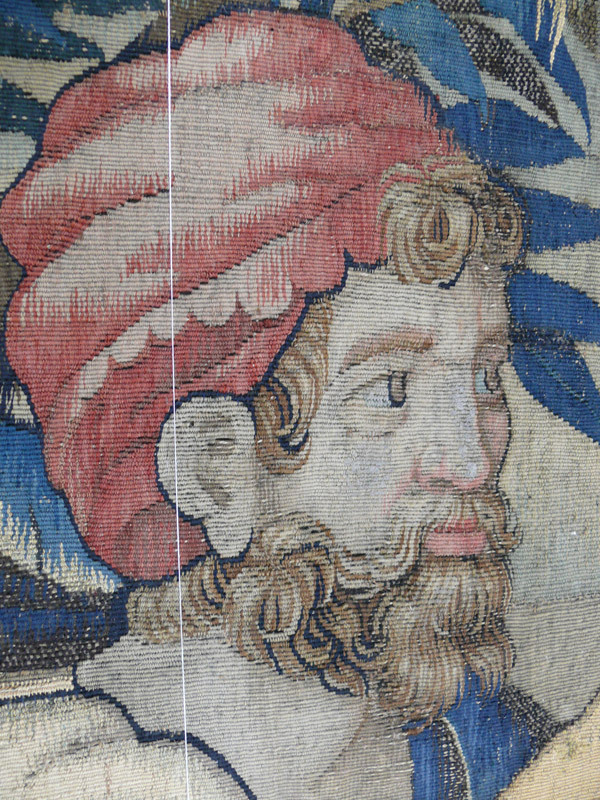 It was in poor condition with weak and missing areas of silk and wool weft and unsightly previous repairs..
After careful surface cleaning the tapestry was given a full linen support through which our conservation stitching was worked. 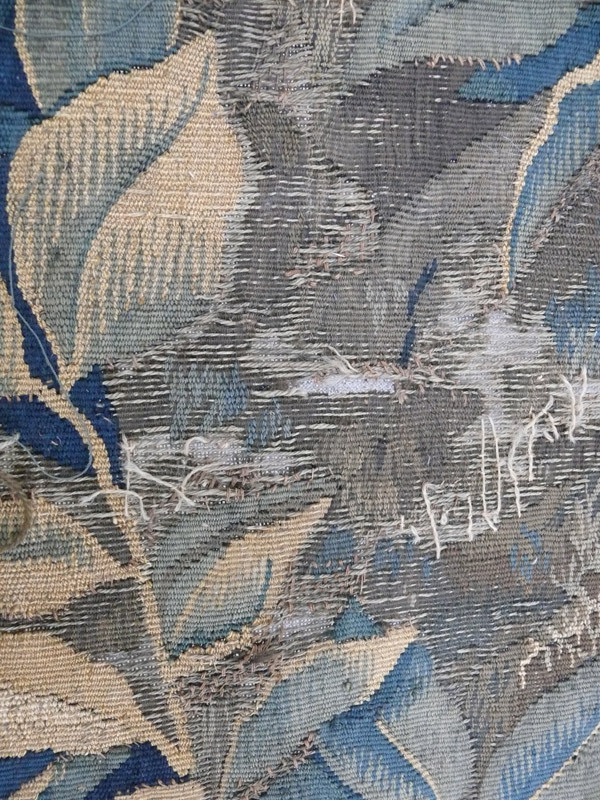 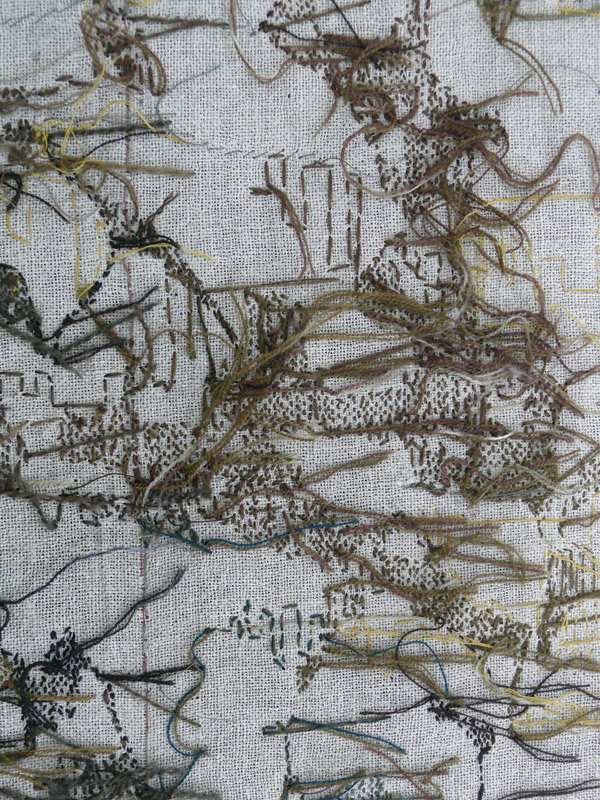 This strengthened the weak tapestry and helped to re-define the original design. 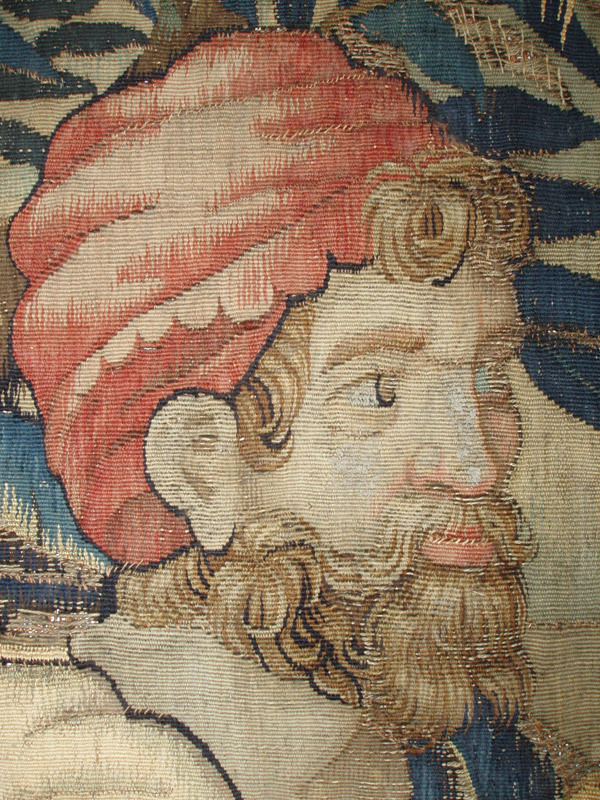 When the conservation stitching was completed the tapestry was finished off at the edges with new wool gallons and a dust proof lining. 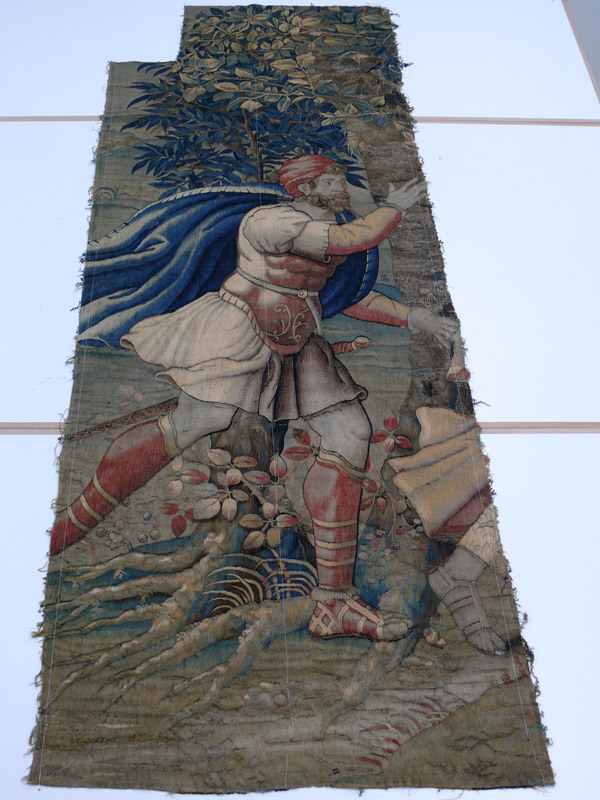 The conserved tapestry is hanging once again in the entrance hall of Bateman’s, now owned by The National Trust.